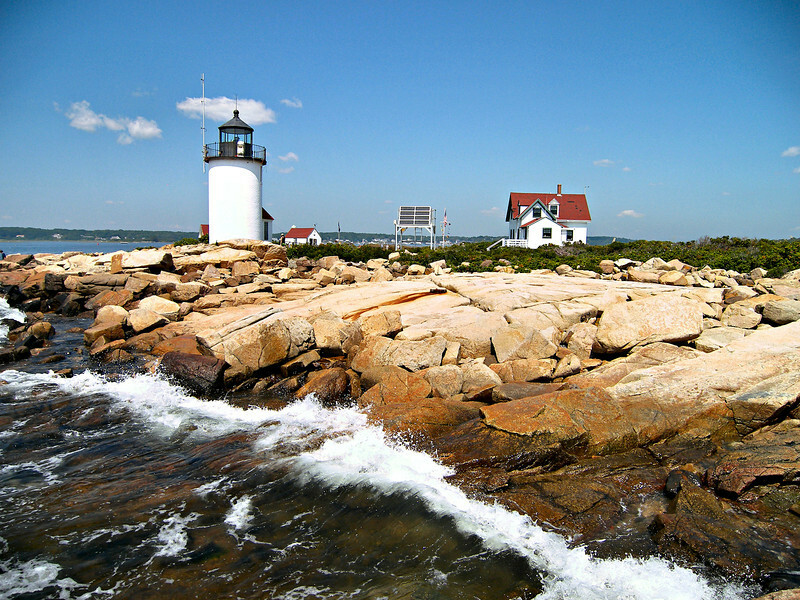 Goat Island Lighthouse, Maine was given its name by Captain John Smith in the 1600's for the schools of porpoises he encountered during a voyage in the area. Today it is a quaint and quiet coastal village which is part of Kennebunkport, Maine. The village is home to a working fishing and lobstering wharf, and since 1833 the entrance into its harbor has been marked by the Goat Island Lighthouse, lying one mile offshore. In 1831 merchants & ship owners in the Kennebunk area petitioned the Congress for a lighthouse. Congress responded by appropriating $6000 for the project, however objections were entered by the Marine Society of Portland during the following Congressional session. The objections were noted, but construction moved ahead.